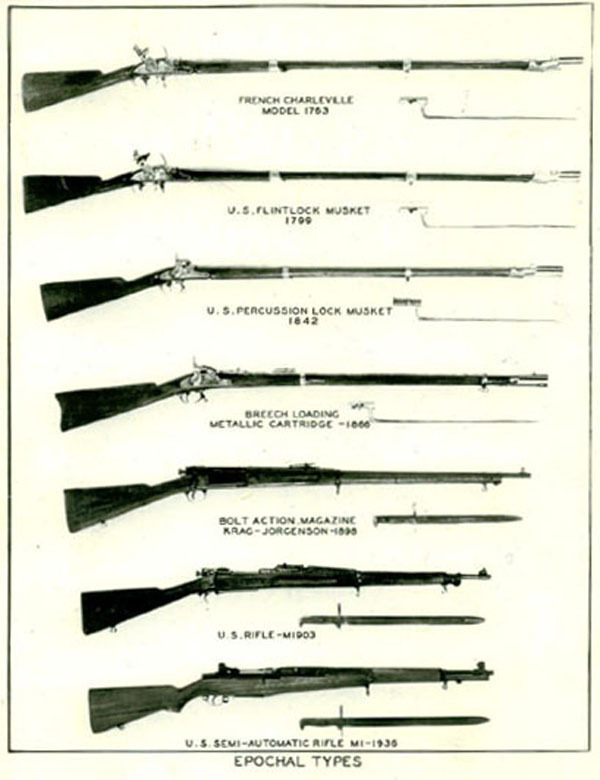 The government-issue weapon to a soldier of the line at the time of the country’s centennial carried the same name as the weapon that helped win the Civil War just over ten years earlier: the Springfield. Yet, the Springfield of 1876 wasn’t the same as the Springfield of 1863. New design innovations from both the Springfield Armory as well as older private sector designs combined to streamline the physical movements involved in reloading a rifle. As a result, the rate at which a soldier could fire was greatly improved. However, tight governmental budgets prevented the full development of these improvements. Ironically, the industrial processes and techniques that had been pioneered by the Springfield Armory before and during the Civil War were now being advanced by private industry, even as the Armory itself was hobbled by governmental inertia and parsimony. Just over 16 years later, the blow of the defeat at Little Bighorn was still palpable to many in the United States Department of Ordnance and its main center of innovation and manufacturing, the Springfield Armory. Custer’s 7th Cavalry, regardless of doubts about the competency of its commander, was clearly outnumbered, and, more significantly, outgunned. A preponderance of privately manufactured, and technologically superior weapons in the hands of Lakota, Arapaho, and Northern Cheyenne warriors especially contributed to the last overwhelming Native American victory over the United States Army and its government-issue Springfield. During the years following Little Bighorn, civilian engineers and military officers at the Springfield Armory identified two major problems that needed to be solved with the issuance of a new rifle. First was the primary dilemma of arms manufacture: rate of fire vs. waste of ammunition. Where was the balance? Clearly, Little Bighorn proved that the current version of the Springfield wasn’t good enough. Second, advances in chemistry produced smokeless powder, which could both prevent the enemy from spotting the source of a bullet, and also increase the speed of the projectile. But this increased speed also increased the strain on the working parts of the rifle, which essentially dictated the adoption of a completely new rifle. For the second time in its history, just as it did when it produced its very first musket, the Springfield Armory went outside its walls - to Europe - for its next major firearm.